Two Dome-Top guzzlers were installed on Moonlight Ridge in the Plumas National Forest in 2013. One year later game cameras showed deer, cougar, and bear. 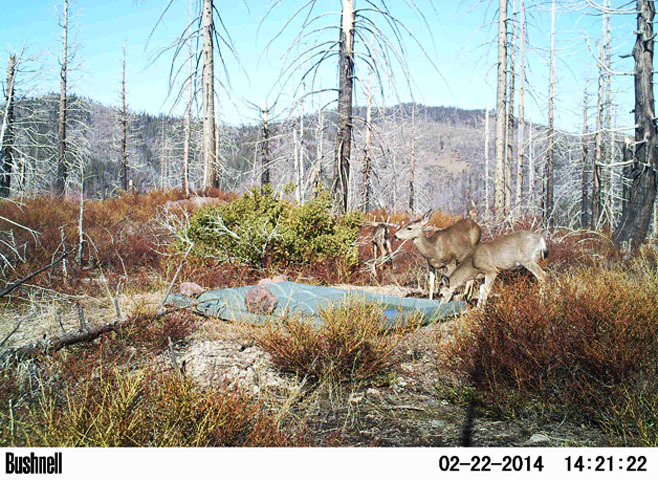 Pictures courtesy of Plumas NF staff and The Mule Deer Foundation, Quincy CA.